Now that Amos’s trial has concluded we are all awaiting the verdict on Tuesday. It is abundantly clear that it has been a spectacular waste of taxpayers’ money and only serves one purpose: to intimidate anyone who might think of criticising Singapore’s royal family. A large number of Christians have come forward to say they were not offended by what Amos said in the video. As I said in my previous blog, “The Case of Amos Yee Proves We Have No Rule of Law”, if some Christians have called for banning the sale of Richard Dawkins’ or Christopher Hitchens’s books in Singapore and the authorities have taken no action they can hardly now take exception to Amos’s video. In addition the idea that Amos’s cartoon of LKY and Margaret Thatcher could deprave and corrupt the youth of Singapore makes Singapore a laughing stock internationally. Far worse is regularly posted online about British politicians and especially about Thatcher. As Amos says in his blog, he will be the first person in Singapore to be prosecuted for circulating an obscene image. However I have already written about my views on the charges. What I am concerned with here is the fact that Amos’s rights to be treated as innocent until proven guilty have been violated. This has been a fundamental of English law, on which our legal system is based, since King John signed Magna Carta in 1215. Amos’s bail conditions exceeded the purposes for which bail is to be used and were needlessly stringent. They amounted to a violation of his fundamental rights to freedom of expression. 94.—(1) A police officer or the court may impose such conditions as are necessary when granting bail or releasing the accused on personal bond under section 92 or 93. (d) not to interfere with any witness or otherwise obstruct the course of justice whether in relation to himself or any other person. The court may impose such conditions as are necessary but the list of requirements beneath makes it clear that the conditions should be in furtherance of the objectives above. The conditions under which Amos was granted bail included not to post, upload, or otherwise distribute any comment or content, whether directly or indirectly, to any social media or online service or website, while his case is ongoing and to report to Bedok Police Station every morning at 9am. It would be hard to argue that these, particularly the requirement not to post any content, have anything to do with the requirements listed in Article 94. Denying Amos the right to post or distribute any content amounts to a violation of his right to freedom of expression as set out in Article 14 (1) of the Constitution. Article 14 (2) goes on to say that Parliament may impose “such restrictions as it considers necessary or expedient in the interest of the security of Singapore or any part thereof, friendly relations with other countries, public order or morality and restrictions designed to protect the privileges of Parliament or to provide against contempt of court, defamation or incitement to any offence”. In practice we have long since lost most of our rights to freedom of expression but Amos should not have had his rights removed as he has not yet been found guilty of any crime. However Amos was unrepresented by a lawyer when he was first charged and bail was set. In such a situation, given that Amos is only 16 years old, the magistrate should have made bent over backwards to ensure Amos was treated fairly. This did not happen. Presumably the magistrate was worried that Amos would reoffend which is why he accepted the DPP’s argument for the necessity for such a restriction of Amos’s rights. But if Amos had reoffended he could have been re-arrested with his bailor losing his bail. Singapore is out of line with most advanced countries and with the UN Convention on the Rights of the Child in treating anyone over the age of 16 as an adult which is why Amos was not afforded the protections that should be accorded to someone of his age. As a minor and a Singapore male with NS liability he will have to apply for an exit permit if he wishes to leave Singapore and is not likely to be a flight risk. Therefore it is difficult to understand why bail was set so high in the first place and why the magistrate refused to allow any member of the public to post bail for him. None of Amos’s alleged offences involve violence or are particularly serious which is a further reason why bail should have been set at a nominal amount. Instead Amos has spent the past two weeks on remand presumably with adult prisoners. When he appeared in court on Thursday at his trial his feet and hands were shackled which was unnecessarily harsh. Many of those in the public gallery were shocked by this. Despite the shackling being patently unnecessary to prevent a diminutive youth like Amos escaping, the judge hearing the case did not ask for his restraints to be removed which is a worrying sign. The shackling of Amos stands in stark contrast to the way the police made no efforts to protect him despite reports that he had received numerous threats to harm or kill him. He was on his own when he was punched by a much older and bigger man. We have been told that the police have arrested a suspect but so far no one has been identified or charged. This is odd given the speed with which Amos was arrested and charged. The prosecution and the State media have also opportunistically tried to exploit the fact that Amos himself decided in response to online comments to submit to an examination at IMH. My understanding is that he did this in response to online taunts that he was suffering from mental illness. The DPP tried to make it a condition of bail that Amos undergo another examination at IMH after Amos had decided that further sessions would be a waste of time. This seems to have been an attempt to twist the original intention behind Amos’s initial deliberate decision to go to IMH and smear Amos as suffering from some disorder which could then be blamed for his criticism of LKY and the PAP. It is a time-honoured tactic of totalitarian regimes to tar their opponents as mentally ill. Such tactics were used against dissidents in the Soviet Union in the 1980s. Amos has demonstrated more courage than most adults twice his age in Singapore. He has refused to buckle under tremendous pressure and has stuck to his principles. He has refused to take down his posts or to agree not to post content because to do so would be an admission of guilt. I can only hope that his bravery is vindicated by the judge’s decision on Tuesday. The omens are not good. However his treatment by the PAP Government has already been extraordinarily vindictive and damaging to a child. 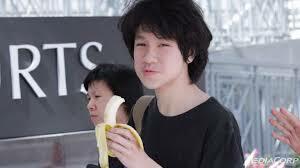 One can only hope that pressure from Singaporeans and international condemnation of Amos Yee’s treatment will stop a repeat of such actions in the future. “Independence” of our judiciary – is this something we have taken for granted, or is it a topic that has elicited some head-scratching? Some of our judges have made bizarre or irrational judgments in the past, and the public could be excused for wondering: preconceived bias or prejudice, or just plain stupidity? Can judges be considered stupid? Yes, certainly. Notwithstanding their legal qualification, they can still be considered stupid, if they produce stupid or irrational arguments or judgments.